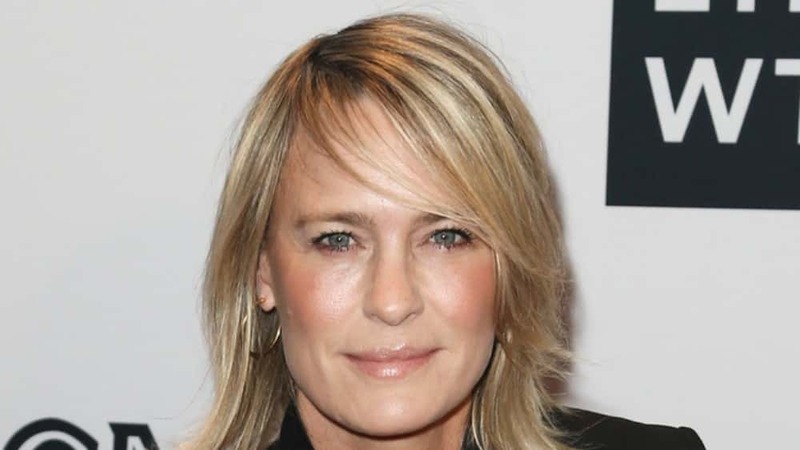 “House of Cards” star Robin Wright is married. The actress, 51, wed her French boyfriend, French fashion executive Clement Giraudet, in a private ceremony over the weekend. Wright’s representative has yet to comment on the news, but her daughter, Dylan Penn, appeared to share footage from the nuptials on her Instagram page. “Weddin vibes (sic),” she captioned a clip of guests dancing outdoors at the bohemian-style party, which she tagged with the location of La Roche-sur-le-Buis in southeastern France. Additional images surfaced online show Robin beaming in a floor-length white gown, as she hugs her new husband. Wright first went public with her romance with Clement last September when they were pictured attending a soccer game in Paris. The marriage is Robin’s third – she was previously married to Dane Witherspoon from 1986 until 1988 and to Sean Penn from 1996 until 2010. She shares daughter Dylan, 27, and son Hopper, 25, with Penn.